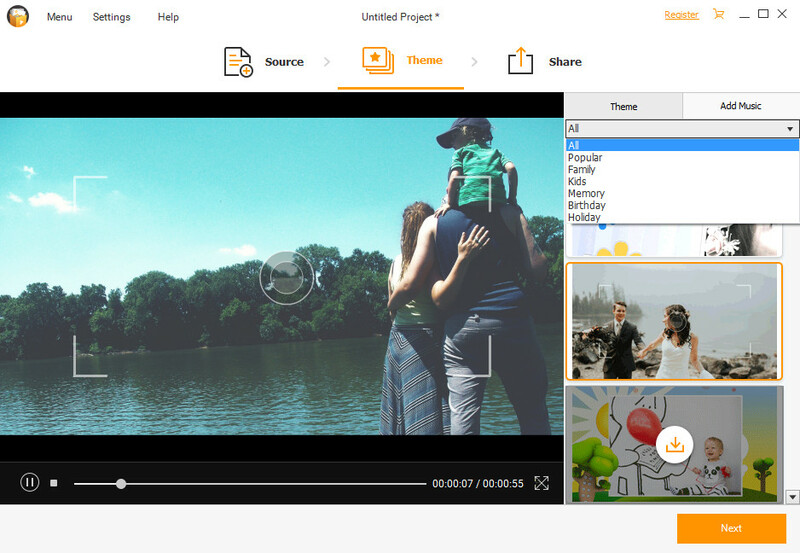 After installing Fotophire Slideshow Maker on your computer, you’ll be able to make a photo or video slideshow on your computer with easy steps. The following guide will show you how to do that in detail. Or you can click the Add Files button at the upper left corner of the program window to add files. * If you are not satisfied with the files, you can click Delete button beside Add Files to delete one or more files. And you’re also allowed to rotate the pictures to make them in the right position. 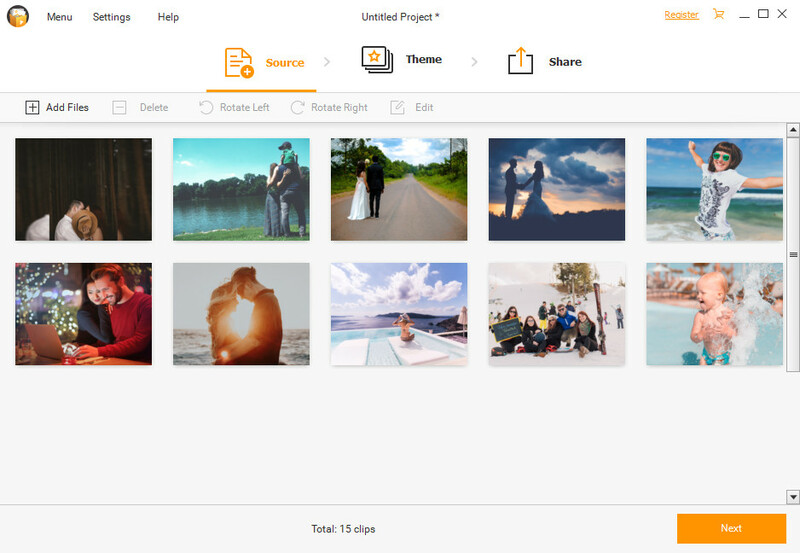 * You can also edit the pictures or videos you've added. 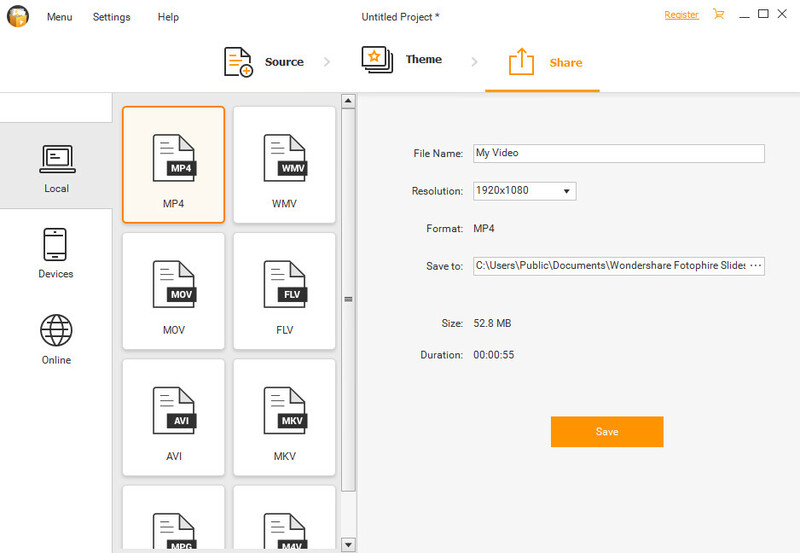 You can select one of the files and click Edit button beside Rotate Right, or double-click the picture to call up the editing dialog. You can crop the pictures to make it fit the style of your slideshow, or add effect to your pictures to make it more attractive. 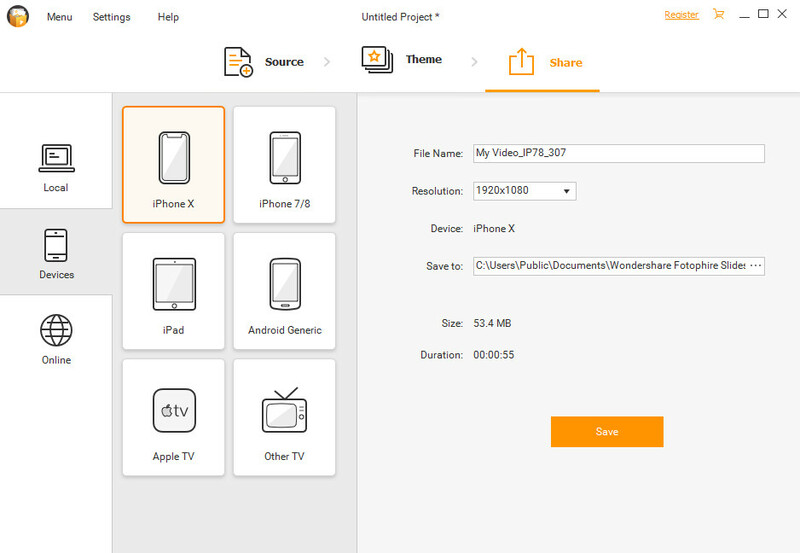 After adding the photos or videos, you can go to Theme section by clicking the Theme word at the top of the main interface. 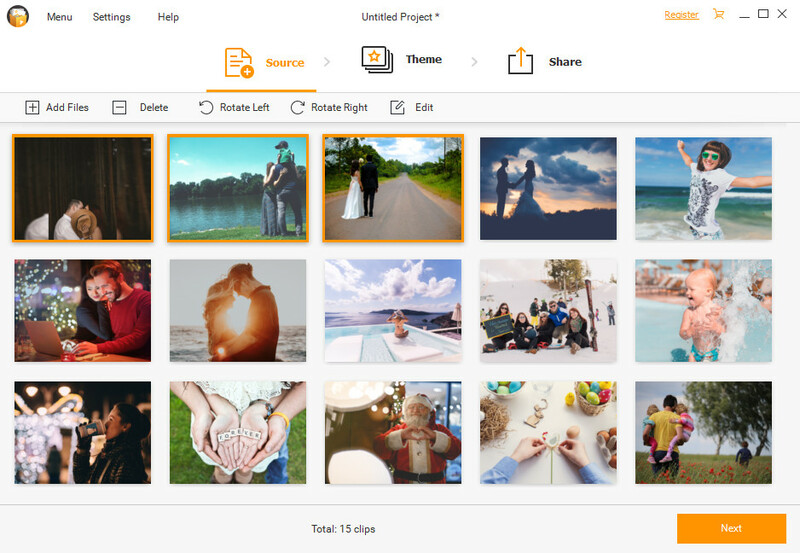 In this section, you can choose a template for your slideshow from the following categories: Popular, Family, Kids, Memory, Birthday, and Holiday. * You’re also allowed to add music from your computer. If you don’t want to add the local music from your computer, you can choose the built-in audio tracks from the right sidebar. Now you’ve made your own slideshow with Fotophire Slideshow Maker. 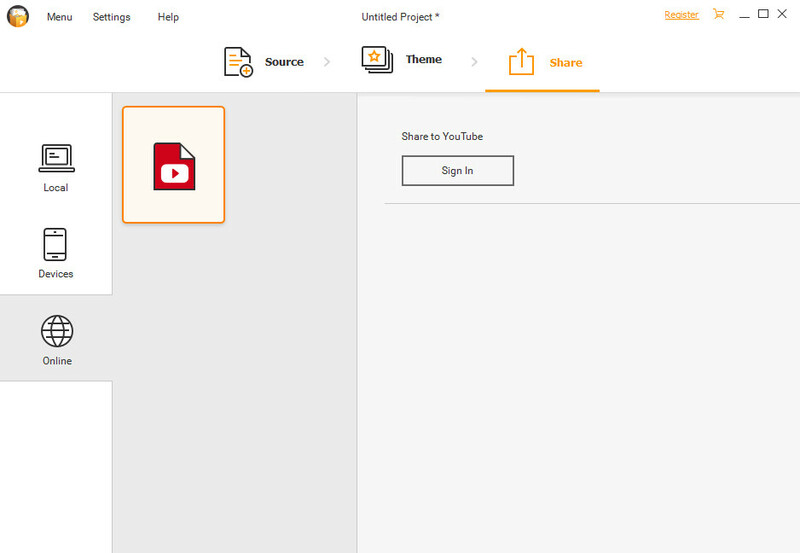 Share to YouTube: You can use the Share option to share the slideshow video to YouTube. You’ll have to sign in YouTube at first if you want to share the slideshow to YouTube. Then you only need to click the Save button at the lower right bottom to save the slideshow video on your computer. Then click Save button to save the video onto your computer. And now you can connect your mobile device and transfer the slideshow video to it.